The candidate experience has the power to win or lose you great talent and customers, and every brand has some degree of a candidate experience. However, the gap lies when mapping those experiences to your candidate’s needs at the right micro-moment, in context within the stage of their consideration cycle. 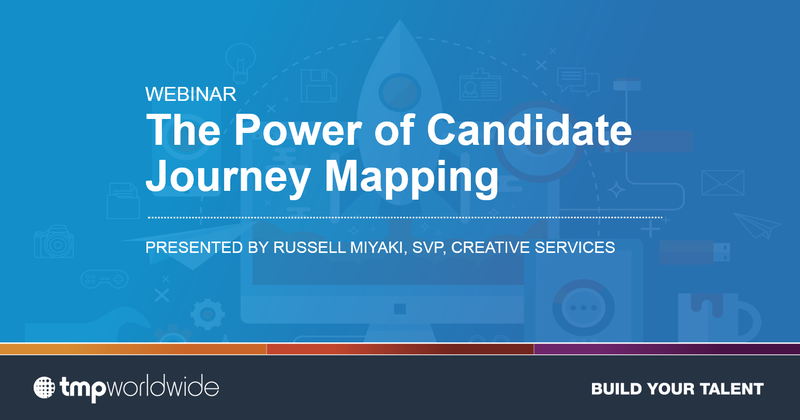 In this webinar, TMP’s SVP, Creative Services, Russell Miyaki, takes us through a critical approach that builds what 89% of major brands are focused on as their main differentiator — the Branded Candidate Journey. Empathy mapping: Understanding your audience needs before personalization can happen. What is a Branded Candidate Journey Map and how to create it? How Brand UX Design is core to your content strategies.